The Port Authority of São Paulo (PBPC) reaches its 169 years on Sunday (11). With 322 municipalities in the states of Minas Gerais and São Paulo under its jurisdiction, the Maritime Authority aims to intensify naval inspections throughout the area and also improve service to the public at its headquarters, which is between the stores 27 and 29 Port Santos. In its area of ​​operation, the CPSP has boats, jet skis and boats for their jobs. Only in the coast of São Paulo, it operates Cananea (on the border with Paraná) to Bertioga.In the North Coast, the activities are under the direct responsibility of the Police of the Port in San Sebastian, subject to the Santos unit. About 150 professionals, civilian and military, working in IPSC. Among them is the the Public Service Group (GAP), responsible for the care of approximately 1,800 people per month, seeking one of the 169 services provided. “We seeks to improve our internal processes. We have a very high demand for service to the public, especially on issues related to the management of sporting activities and recreation. Our Public Service System (SISAP) had deployed all its features and can give a qualitative leap, “said the captain of sea and war Alberto José Pinheiro de Carvalho, commander of the IPSC. To the official, this is one of the main demands due to the volume of calls. The numbers are high. Until the beginning of this month, 131 893 amateurs were written in IPSC. In addition, 93,386 vessels and 20,849 jet skis, are registered with the Maritime Authority. “We carry out on average about 400 proof (driver’s certification) amateur per month.The system is modern and up to 30 tests can be done at the same time. This is a great demand, and people who are renewing this license and the property changes, which also require registration, “said the commander. The Maritime Authority also conducts inspections on vessels that are verified compliance with the rules of the Navy of Brazil. The officers check the boat and driver documentation and check whether there is a salvage and safety equipment. Between the months of November and February, this surveillance is intensified throughout the country – except in the Amazon and in the Pantanal. During Operation Summer, the goal is to prevent the interaction between swimmers and boats on the Brazilian coast. Activities of the Port of Santos and programs geared to maritime vocational education are also among the main tasks of the IPSC. 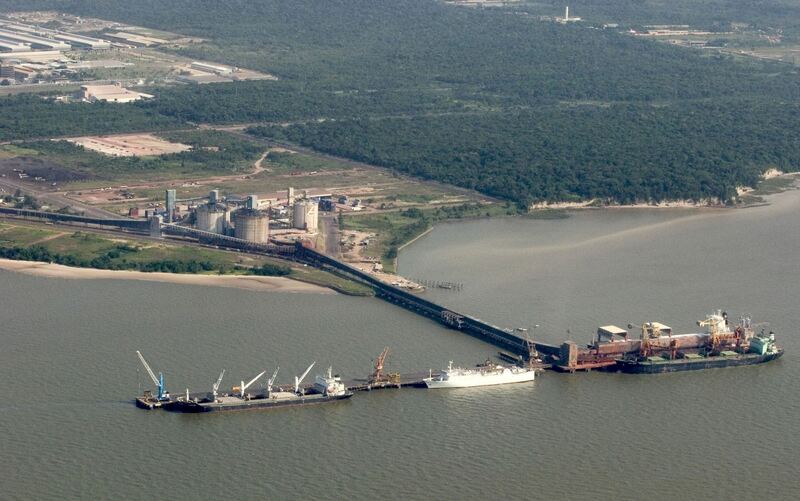 The operational design draft in the berths and the channel is a strategic issue for the competitiveness of Santos complex. This is the maximum depth that the ship’s hull can reach with its submerged part. When a vessel moors in a particular cradle, its keel (lowest point) must be with a clearance space – a safety margin – up to the bed.Discounting this off the local depth, we have as the ship’s hull can be submerged, ie, its maximum operating draft. “We entered into the largest port in Latin America and this demand of Porto is relatively large in relation to other ports. Here, the issue is well attended and follow the routines established in accordance with the rules, “said the commander. The official referred to the order of service vessels, necessary for entry and exit in the maritime complex. They are also made inspections of control provided for in international treaties – such as Viña del Mar Agreement, which states that all cargo must be inspected to check for safety equipment and procedures. The training of port workers and waterway is also among the tasks of the Captaincy of São Paulo Ports. 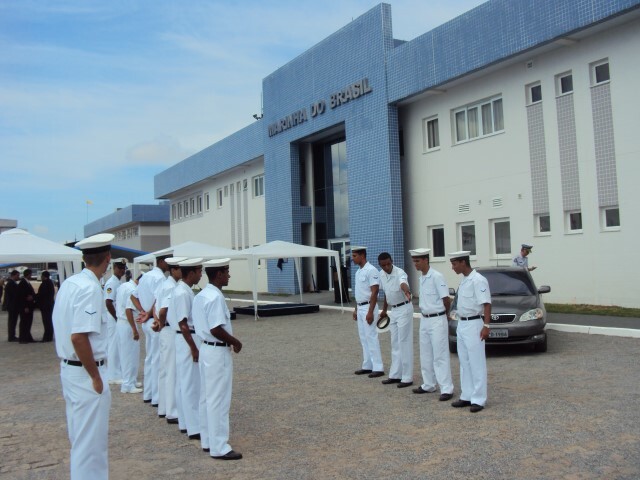 Everything is in accordance with the Vocational Education Program Maritime (Prepom), funded by the Vocational Education Development Fund Maritime Navy of Brazil and therefore dependent on the funds transferred from the federal government. This is another demand cited by the captain of sea and war Alberto José Pinheiro de Carvalho as one of the great services of the Port of São Paulo (PBPC). There are two types of courses. One is aimed at training the Port Avulso worker, as stevedores and checkers (via Prepom-Port program), and the other, the waterway workers (at Prepom-Waterway). Unbundled receive training to better perform handling activities and storage of goods, to or by water transport within the organized port area. This year is planned 19 courses with 340 vacancies. However, there has been no release of resources. Since last year, the courses are set according to the needs of workers and contractors.For this, a workshop brings together representatives of the Governing Body of Labor (Ogmo), Navy of Brazil and the Union of Port Operators State São Paulo (Sopesp) to define which will be offered educational programs to meet the interests of all involved. You Waterway Prepom, workers are qualified and certified to operate sport and pleasure craft professional character. This year, 210 students have already made seven courses. The CPSP is still active in the investigation of accidents involving cargo ships, sports boats and recreational and port workers. Are the Facts Navigation Administrative Inquiries (IAFN), the period for calculation is 90 days. Last year, 90 investigations were opened. 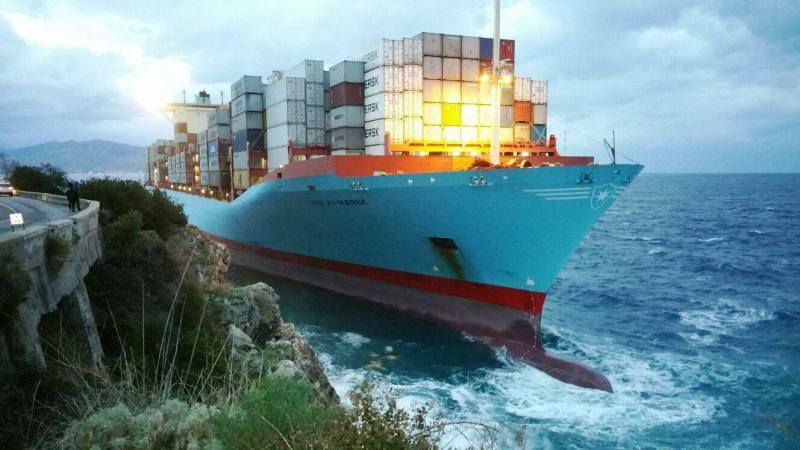 Among them were the sinking of a boat with two people on board and the collision of two cargo ships in the navigation channel of the Port. In such cases, the Navy officials process their responsible for accidents and the possibility of deterioration of the environment. This year through September, 39 investigations were opened. The latest clears the circumstances of the death of the captain of a cargo ship coming to Santos at the end of last month. 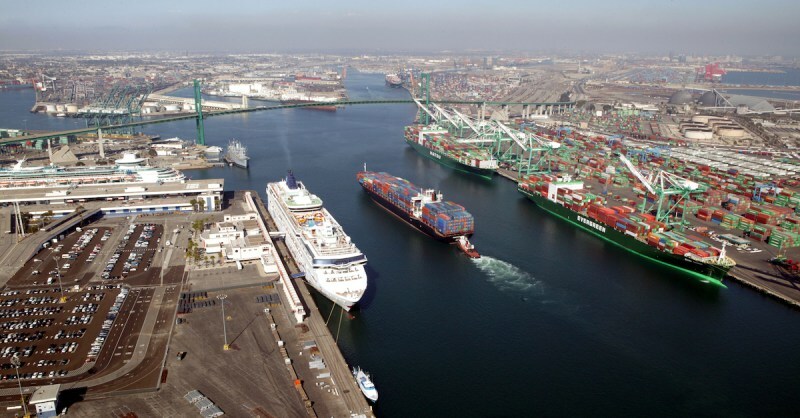 “There is also a considerable amount of surveys that report accidents to workers in ships moored at the port. In many cases, these workers are removed by the end of the security personnel and commanders are not aware of what happened. 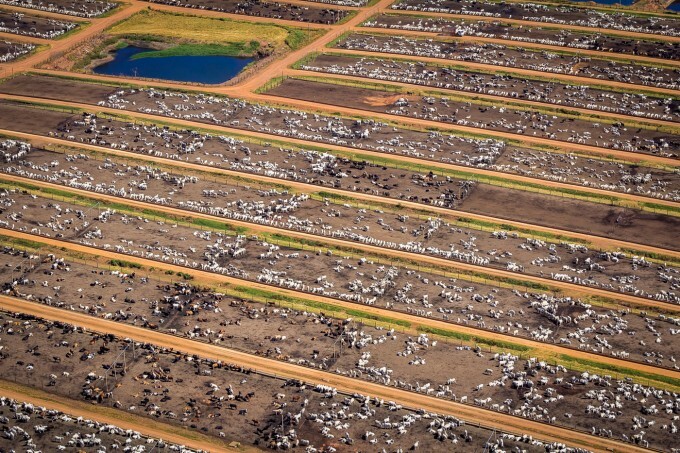 Only become aware when questioned, “said the captain of São Paulo ports. For eight months in charge of the Port of São Paulo (CPSP), the captain of sea and war Alberto José Pinheiro de Carvalho classify his tenure at Maritime Authority in two words: challenge and dynamism. The choice is not random, especially when considering the number of events occurring simultaneously in the region. “Although here eight months ago, it seems that I am already in the Captaincy for over a year,” said the captain of the port, which took charge of the CPSP in January this year, replacing the captain of the sea-war Ricardo Fernandes Gomes, who remained for two years in the post. “I expected this agitation because I am not first-timer. I was captain of ports in Foz do Iguaçu (PR), which is a much smaller area and a little different. I had an area close to the border and worked hard the issue of smuggling and drug trafficking. Although (policing) is not the main activity, but you are inserted in the environment. There also has plenty sport and recreation and integration with the city, but you can not compare with that captaincy, “he said. The commander also underwent training abroad. Between August 2014 and July 2015, the official made the course of Defense Studies and Strategy in Beijing, China.This period was military attache in China. The routine of the Port of Santos and the great demand of sports and recreational activities are factors that enhance the dynamism of the Maritime Authority, according to the captain. And there are also administrative issues. “Here, we have to provide health care for active, inactive and dependent, for example. We also make attracting staff through registrations for selection processes and administration of management itself. The challenge is to conduct these various activities. And the momentum is by connecting the region with the port and sports and recreational activities, from qualifying the (browser) amateur investigating accident on the ship.And it all together, “said the captain of sea and war. The last two years have been particularly difficult for public agencies in terms of contingency spending. And the CPSP, it was no different. “What we seek is, even with the restrictions, maintain an acceptable level of activity.We search save by reducing spending on administration, with light consumption, water, telephone, and seeks to maintain an acceptable level of operational activities, the naval inspections and service to the public. But these restrictions reduce our activity, “said the commander. Among the limitations imposed by the crisis, is the lack of foresight for the inauguration of the Center of Naval Patrol Grouping Command South-East, operating in CPSP headquarters. The main activity of the Reverse Stock Split will be the protection of the Brazilian waters in a distance of 12 nautical miles, equivalent to 22.2 kilometers. The plans include ensuring security in the vicinity of oil extraction activities in the pre-salt layer of the Santos Basin.